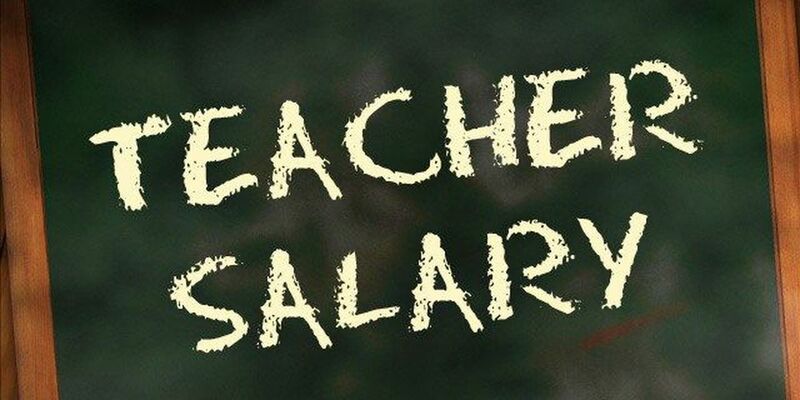 OKLAHOMA CITY, OK (KSWO) –A state senator and state representative have filed legislation that would give Oklahoma teachers a $5,000 pay raise without increasing taxes. State Sen. AJ Griffin, R-Guthrie, and state Rep. Josh Cockroft, R-Tecumseh, both filed measures that would give a pay raise to Pre-K to 12th-grade teachers throughout Oklahoma's public school system. "It's necessary, and possible, to provide meaningful salary increases this year for Oklahoma teachers without forcing Oklahomans to pay the highest sales tax burden in America," Griffin said. "Parents across the state are concerned the good teachers in their children's schools are either looking to leave the state to earn more money or considering leaving the teaching profession altogether." Griffin and Cockroft said increasing teacher salaries is a priority for them and other lawmakers. However, they're concerned by University of Oklahoma's president David Boren's proposal to increase sales tax as a way to finance the pay raises. "Oklahoma's economy is struggling because of international dynamics in energy markets," Griffin said. "Increasing taxes when over 20,000 Oklahomans have lost their jobs would only make things worse." While the State of Oklahoma is facing a $900 million projected appropriations shortfall, Griffin and Cockroft believe raising teacher salaries and even hiring more teachers is possible by working with their colleagues to reduce nonessential state spending, efficiency reforms and "overly generous" tax credits. The extra teachers they have in mind would go to helping out in special education and STEM areas. "Oklahoma's government is spending on projects that aren't government's responsibility, and we're dragging our heels on cleaning up bureaucratic inefficiencies and excessive tax giveaways," Cockroft said. "This ties up tax dollars that could go toward competitive salaries for quality teachers." Data from the Oklahoma Department of Education shows common education revenue is at an all-time high at $12,481 per student. That includes federal, state and local money made available for Oklahoma schools. "Teacher pay is probably the most unifying issue among constituents in every legislative district in the state," Cockroft said. "Regardless of the level of school funding, not enough of the dollars have been making it to classrooms to directly impact students. That has to change, and it must change now." House Bill 3129 does not include any specific language at this time, but Cockroft plans to use it as the vehicle to increase teacher salaries. On the other hand, Senate Bill 1422 amends the minimum salary schedule starting with the 2016-2017 school year.